Available in with or without Arm Rest. 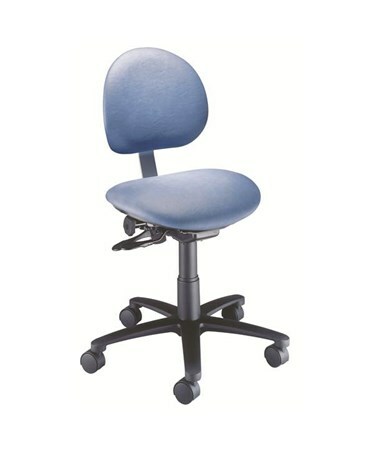 18.5" wide contour poly-foam seat cushion with adjustable forward seat tilt for maximum comfort. 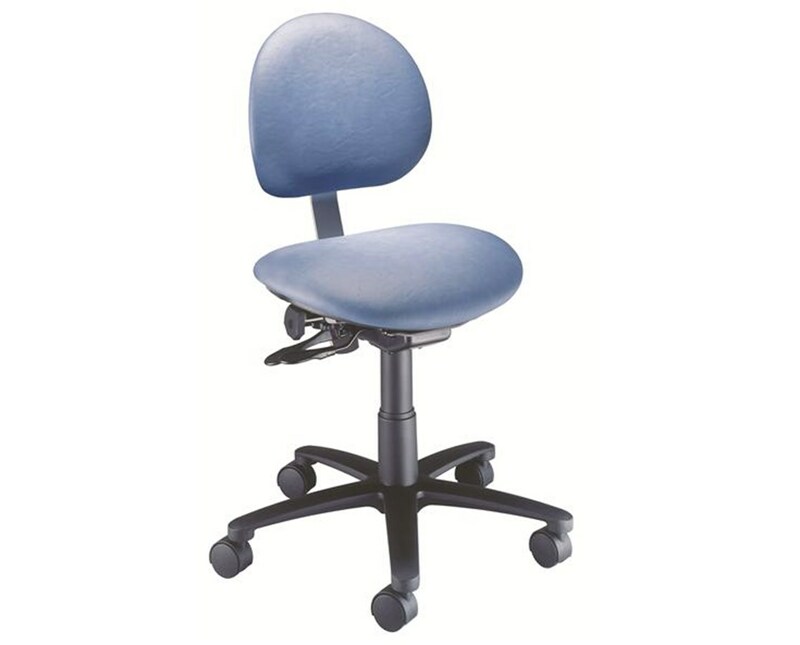 The Brewer Ergonomic Task Stool has the most sophisticated ergonomic design of the Millennium Series making it ideal for a variety of office and clinical situations. Brewer Millennium Task Stools feature a two-way pneumatic seat back adjustment with synchronized traversing movement of the seat. Stools have a five-leg aluminum base providing continual support for the user. The weight capacity stool is 250 pounds. 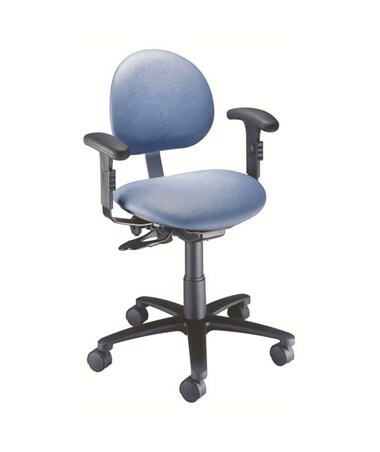 Additional features include an 18 inch wide contour poly-foam seat cushion, high impact black plastic backrest shroud and 2 inch dual-wheel nylon casters. The Millennium Task Chair is premium specialty seating in an ergonomic design with standard seamless upholstery available in 50 standard colors. All Brewer stool come with a 5 year warranty. The Ergonomic Task Stool is available with or without arm rest, and in 50 standard colors (please specify which color you would like in the "Special Note" section during checkout). Select from the drop down menu above and order online direct by clicking "add to cart!" Seat Height Range 18" - 24.75"